IAN Gorowa got off to the most perfect start as Warriors head coach on Sunday, as Zimbabwe brushed aside a token challenge from Mauritius in the first leg of the Chan qualifiers as the George V Stadium in Port Louis. 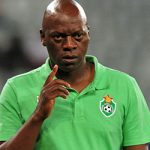 Gorowa was thrilled with the victory: “It was a very tough game, especially because the conditions (weather) were not good, but it turned out to be a good game of football with credit to both teams. “Mauritius came back very strongly in the second half and could have scored one or two goals but we managed to wrap it up with a third goal. “The CHAN is a very good competition for the younger players, a chance for the local players as they can have experience to play in these conditions and at this level”. Having taken over from German Klaus Dieter Pagels on Tuesday, Gorowa just had two training sessions before departure for Mauritius but was always confident his charges will roll over the island nation. Nelson Maziwisa headed the Warriors ahead in the 15th minute and that unsettled the hosts as they failed to mount a comeback. 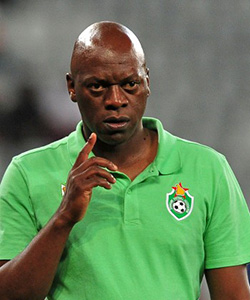 A tactical substitution by the coach when he brought in Simba Sithole for Silas Songani, resulted in the second goal as debutant Milton Ncube rounded off a couple of defenders to lay on for the How Mine striker to settle matters in the 58th minute. 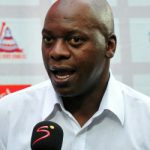 Goalkeeper Tafadzwa Dube then kept Zimbabwe in the game with a brilliant save from Christopher Pithia in the 80th minute as the Warriors soaked in the second half pressure on a muddy field. With pressure mounting, Gorowa fortified his defence, taking off Masimba Mambare for centre back Felix Chindungwe. And just when Mauritius thought they could minimize the damage, Maziwisa put the icing on the cake in the 90th minute with his second of the match, heading home a superbly delivered corner kick from substitute Tawanda Muparati. 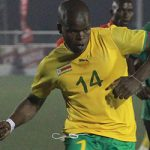 The win all but sets the stage for another Zimbabwe-Zambia battle in the last qualifier next month after the Cosafa champions drew 1-1 with Botswana in their first leg in Gaborone on Saturday. The return legs will be played next weekend. Elsewhere, Mozambiqueare also in a strong position to advance to the finals. They beat Namibia 3-0 in the home leg of their first round tie. In other qualifiers this weekend Maliare well placed having beaten Guinea 3-1 at home, as are Sudanafter forcing a 1-1 draw in Burundi. But 2009 champions DR Congoface tough a task against Congo-Brazzavillehaving built just a one-goal home lead.